Addicted to World of Warcraft? Do you sleep, dream, eat, and breathe WoW? 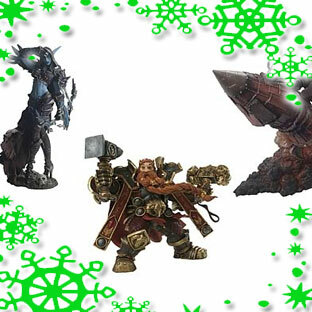 The World of Warcraft Series 6 Action Figures might pique your interest this holiday season. Sold in packs of three and having multiple points of articulation as well as accessories, the WoW Action Figures might be something for the WoW addict.